A partnership that gives you, the Customer, the advantage. Dingo Rack is owned and managed by Ray Maxwell and his team. The Dingo Group commenced business in 1986 from small beginnings and its growth was clearly accelerated as a result of hard work, determination and support from the community of North Queensland. Over the past twenty-nine years, our team of more than eight have accumulated knowledge through intensive training and experience. We will offer our customers great prices, good quality, large range and great service. We will be not only a leading importer and supplier of quality racking and services to industry, but also be well respected for technical expertise, first-rate quality, value for money and on-time delivery. 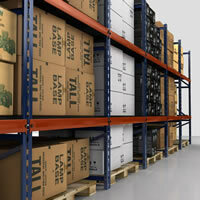 Cost We will guarantee that you, the Customer, will pay the lowest price at which we can supply your shelving. 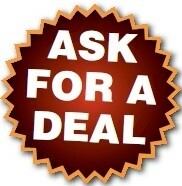 We like to see that you, the Customer, and Dingo Rack get a win-win deal. Super Quality Our products are at the highest quality we can buy, our suppliers and manufacturers go through a high level of inspection and validation to ensure our products meet AS4084-2012 Steel Storage Racking Standards. Communications The Team at Dingo Rack will endeavour to keep the Customers informed on their project’s progress at all stages. Technical Assistance Our designers and engineers will work with you through every step. Copyright © 2019 Dingo Rack. All Rights Reserved.